Custom Offset, Tube Guitar Stack / Half Stack from Marshall in the JTM series. 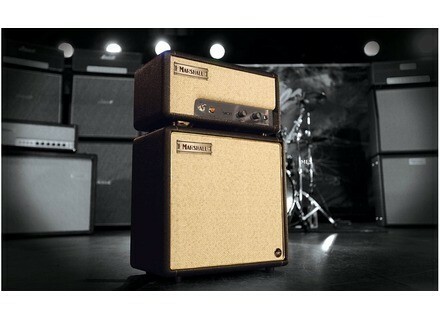 The Marshall Custom Shop will launch in May 2013 the Custom Offset guitar amp stack, a 1W tube model available in limited edition. The Marshall Custom Offset is based on the very first JTM45 half-stack. It provide variable power from 0.1 to 1W and employs two ECC83/12AX7 preamp and one ECC82/12AU7 power valves. You can control on its unique channel the volume and tone and will find on the rear 8 and 16 Ohms speaker outputs. The cab is equipped with a Celestion G10-F15 10" speaker. 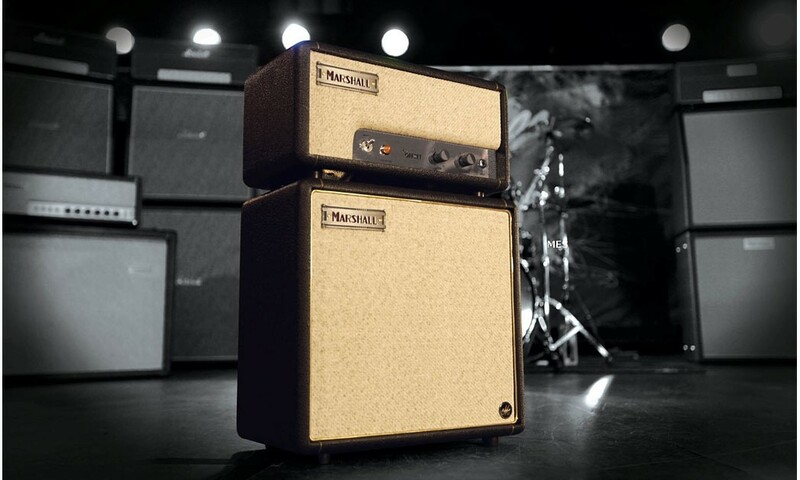 The Marshall Custom Offset stack is available worldwide but in small quantities. Price in Europe is around 945€. 2 new Fret King Country Squire Semitone guitars Fret Kings adds to its Black Label series two new Country Squire Semitone Special and De Luxe semi-hollow guitars. Wild Customs launches the Baroness CT guitar Wild Customs announces the availability of the reworked version of its Baroness electric guitar, the Baroness CT, entirely manufactured in France. Fredric Effects launches its Grumbly Wolf Fredric Effects announces the release of Grumbly Wolf, a new multi-effect guitar pedal which combines distortion, fuzz, octave and modulation.